I just upgraded to the latest TFF (FPR3) and it has been running very well with no real issues. 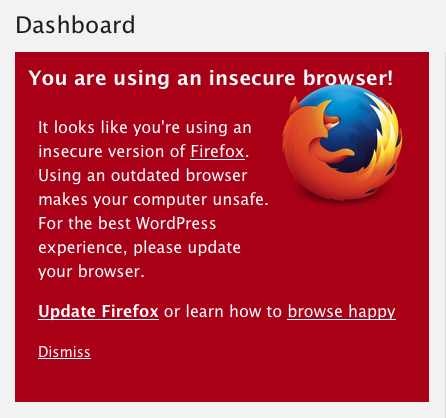 This morning I returned to my G5 and my WordPress dashboard to find the attacked notice that my "FireFox" was not current. Thanks for your great work Cameron! You can either ignore this message or go to Preferences > TenFourFox > User agent and switch to Firefox 52 (latest Firefox ESR version).